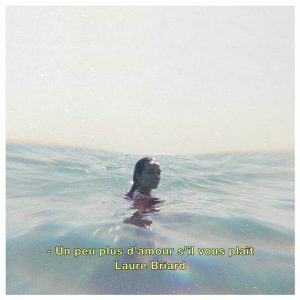 This month begins smoothly with the release of Laure Briard‘s new album, Un peu plus d’amour s’il vous plaît, out on Midnight special records, which alternates between wistful ballads and punchy pop tunes. Laure Briard doesn’t restrict herself to just one genre. Her four previous albums have featured hints of bossa nova, rock and even country music. Now, Un peu plus d’amour s’il vous plaît plays elegantly with psych-pop, yéyé and chanson, evoking loneliness, passion and adventure through its captivating melodies. Listen to the first single ‘Kooky Sun’ on our ‘Latest Release‘ playlist.